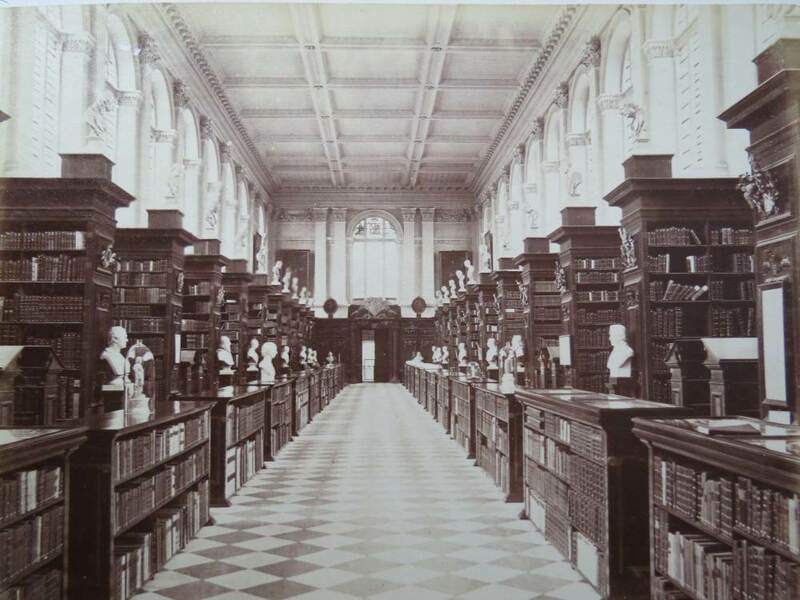 Wren Library interior, Trinity College, University of Cambridge. c. 1870. Albumen photograph, approximately 6 x 8 inches. [Click on photograph to enlarge it.] 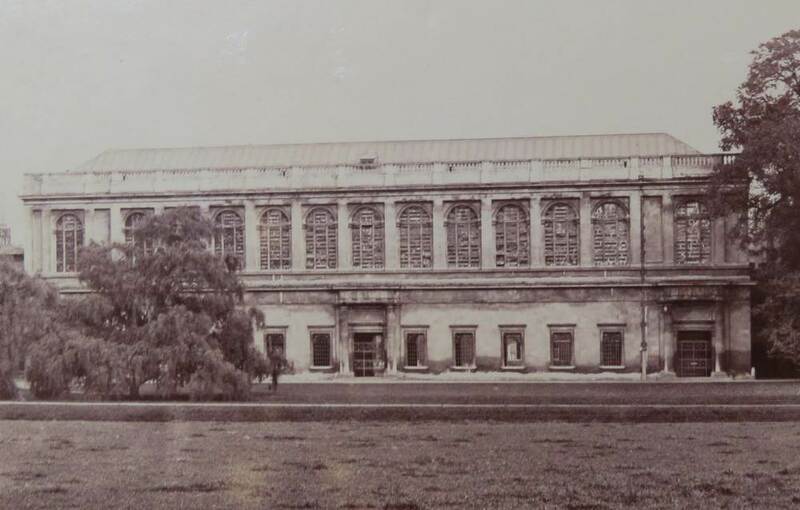 This is one of 58 photographs of Cambridge University taken for a William Winfield c. 1870 and assembled in an album now in the possession of New Boston Fine and Rare Books, which Kimberly Blaker, President of the firm, has kindly shared with readers of the Victorian Web.